is there a clip for a baseball type hat that works well? and if so, can you leave a link as to where i could buy it? Last edited by Fish; 02-16-2019 at 05:35 PM. I've had really good luck with this one, it clamps down really hard if you want it to. It's not real heavy, I forgot it was on my hat once and recorded me going through the grocery store picking up stuff my wife wanted me to pick up on the way home. I have less than 5 posts though, darn it. 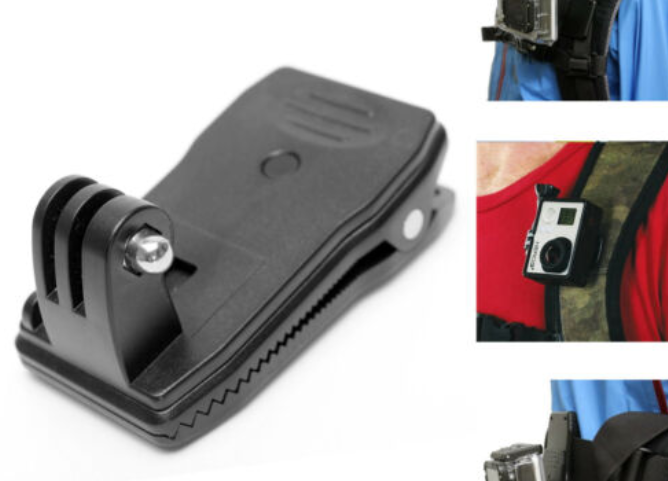 i have exact same mount, and it is awesome for clipping on a backpack strap but i found it to be too heavy when put on a baseball cap. Or maybe i need differend cap that is more rigid. I was thinking about DIY my own mount, by fixing a tripod mount with a screw directly thru the cap so it sits on head instead of sunshield, if you enter "DIY baseball cap gopro mount" you will find many examples including the one i mean. SOme clips will lie to close to the front and feel that way the one I have sits back enough. Like @Boznoz mentions. I agree. I also feel if you are looking out the problem with mine that I shown the mount will be in your view. Also if you wear the hat, or the hat is angled you'll have to adjust to the fit?